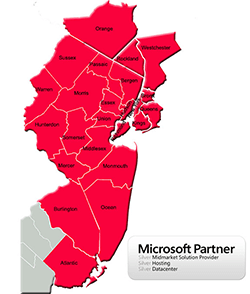 Dynamic SMB organizations that need an IT consultant in Jersey City look to Integrated Computer Services, Inc. to provide the expert IT support they need. Even if your organization already has an in-house IT team, it can still benefit from tapping an outsourced IT consultant in Jersey City for your business. Increased focus on core objectives: Jersey City organizations who look to us to provide IT consultants often do so to free up in-house staff to focus on core business objectives. This is especially important if you don't have an in-house IT team. Even if you already have a dedicated team, bringing in a consultant can guide your IT staff in planning more strategically and proactively, freeing them from only reactively responding to problems. Improved efficiency: An IT consultant in Jersey City can offer a fresh set of eyes and an expertly trained mind that can often suggest and provide solutions to common IT problems that have slow business but have long been accepted as the norm. Work stoppages, slow internet speeds, software troubles, and more can all impact the speed of your business. And since time is money, tapping an outside IT expert who can help solve these troubling issues is a wise investment in your organization. Virtual CIO services: Startups and entrenched organizations alike can all benefit from our virtual CIO services. Our IT consultants offer Jersey City businesses the opportunity to bring our technology expertise to the planning table. We know from experience that CIOs with a seat at the strategy table have a better understanding of their businesses' near- and longer-term technology needs, and that can only help them more effectively at drive partnerships and share accountability with the business side. Unfortunately, even if you have an in-house CIO, research shows that he or she doesn't play this role of influential business executive at many organizations. By bringing in an IT consultant in Jersey City who can not only shape business decisions but also guide your team in better utilizing your in-house CIO, we can bring exponential long-term value to your organization. Strategic Growth: As your business expands and evolves, your IT needs inevitably change. Bringing an IT consultant in Jersey City to your business can help you assess your changing IT needs so you can grow most effectively. Our IT consultants have worked with businesses of all sizes in all stages of development, so we can offer a valuable and objective perspective on what your organization's needs are as you continue to grow. Not only do we bring our wide range of expertise to the table, we also know how to launch a dialogue with your organization so that we can offer advice specific to your business. We set the stage for this dialogue to continue throughout your organization's lifecycle, positioning you to continue to take maximum advantage of the technology that supports your business. Our IT consultants work with Jersey City businesses all the time, so we already know the specific challenges and opportunities that are unique to your area. Give us a call at ICS today to learn how an IT consultant in Jersey City can help you take your organization to the next level.